Matt. 2:19-23 Some time after the death of Herod the Great in March 4BC, Mary and Joseph journey north to Nazareth in Galilee, as they are afraid to return to Bethlehem in Judaea where Herod's son Archelaus is now ruling over Judaea (see 4 on Map 4). Jesus is brought up in Galilee (ruled by another of Herod’s sons) and becomes known as ‘Jesus of Nazareth’. During Jesus’s childhood, the most important town in Galilee was Sepphoris, located 4 miles / 6 km to the north of Nazareth (see Map 4). 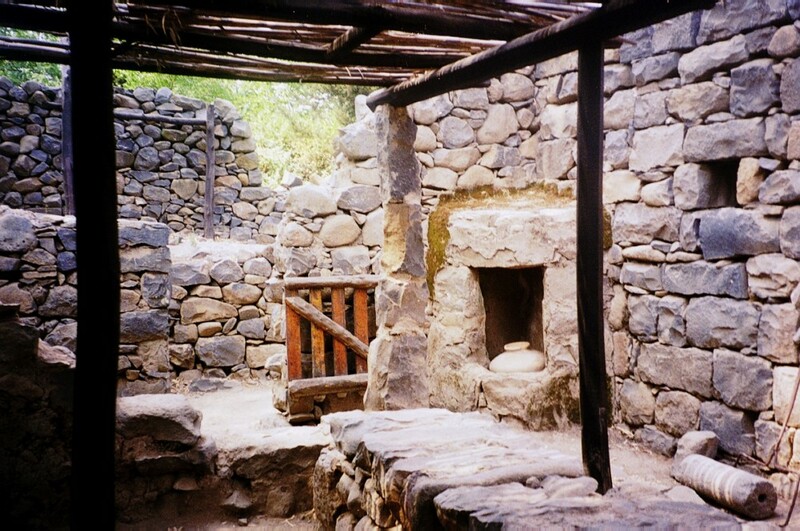 Traditionally, Sepphoris is said to be the home of Joachim and Anna (believed to be the parents of Jesus’s mother Mary) and therefore Mary’s childhood home. Sepphoris was an important trading centre, situated on the main route inland from the Mediterranean port of Ptolemais (Akko / Acre) to Tiberias on the western shore of the Sea of Galilee. As a result, it was a very cosmopolitan city that grew rapidly after Herod the Great’s death in 4BC, around the time of Jesus’s birth. During Jesus’s childhood, Herod Antipas (Herod the Great’s son), the tetrarch (ruler) of Galilee, restored and redeveloped Sepphoris as a Romanised city (known as Diocaesarea), locating his palace there before building a new residence at Tiberias between 18 and 20AD. Sepphoris had impressive colonnaded streets, a large forum (market place), several synagogues and a huge four thousand seater amphitheatre built into the eastern side of the hill on which the city was perched like a bird. Its Hebrew name – Zippori, meaning ‘a bird’ – reflected its lofty position looking out across Cana, Nazareth and the Bet Netofa Valley. It is quite possible that Joseph first met Mary when he came to work in Sepphoris. The local people of Nazareth later called Jesus ‘the carpenter’s son’ (see Matthew 13:55). The Greek word ‘tekton’ – usually translated ‘carpenter’ – really means a craftsman or artisan, denoting a skilled worker in the building trade, who would have worked in wood and also in stone. Joseph may well have moved from Bethlehem to Sepphoris as a young man, in search of work on one of the biggest building sites in the whole of Palestine. Having met Mary, a local girl, he may have settled in nearby Nazareth – a much quieter and more ‘Jewish’ village – a short distance away from the cosmopolitan (and more expensive) Sepphoris. As Jesus was probably taught the same trade as Joseph, it is highly likely that he served at least part of his apprenticeship in the highly Romanised atmosphere of Sepphoris. This might well explain Jesus’s familiarity with Roman customs and the Roman theatre (see, for example, Matthew 6:2 & 22:18 where Jesus calls the Pharisees ‘hypocrites’ – the Greek word ‘ypokritae’ – meaning stage-players who wear masks and act out a role, as Roman actors did in the theatre). After the destruction of Jerusalem in 70AD, Sepphoris became an important centre of Jewish learning where the Jewish Council (the Sanhedrin) met and the traditions of the Jewish elders, so often challenged by Jesus (see, for example, Matthew 23:1-28) were codified into the ‘Mishnah’. Today, visitors to Sepphoris can see extensive 1st century remains including a colonnaded street, the ruins of a large Roman amphitheatre, and a huge water cistern nearby that supplied the city. A later Roman mansion dating from c.400AD has a beautiful mosaic floor depicting the luxuriant landscape of the Nile Valley. The excavated remains of a 6th century synagogue include well-preserved mosaics showing Abraham entertaining three visitors (Genesis 18:1-16), the sacrifice of Isaac (Genesis 22:1-18), the consecration of Aaron (Exodus 29:1-26) and the signs of the Zodiac.